VONDII guarantee that our products are not defective. Any defective items will be entitled for a full exchange or refund. • Original tags must be attached. • Sales items are not eligible for returns. • Returns will be refunded in form of Store Credit. How do I exchange/ return an item I purchased? 1. Fill out exchange / return form within 7 days after the date items are purchased. 2. Receive an approval email from VONDII customers care within 2 business days for your return request. 3. Send the merchandise to our office, additional information to be found in the approval email. 4. 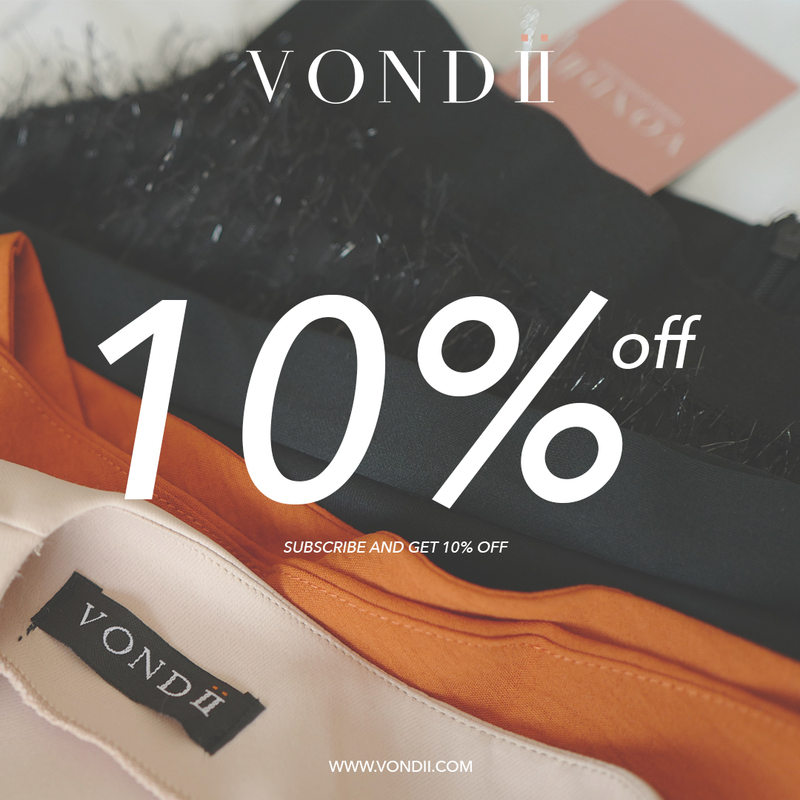 Once VONDII receive the items, we will issue you the confirmation email including the store-credit within 48 hours. Please note that shipment fees will not be refunded. 5. Store credit can be used to place your next orders. • Store Credit is not transferable in any forms. • Store credit can be used for any purchase amount. • Purchase amount exceeding the Store Credit value will require an additional method of payment for the remaining balance.